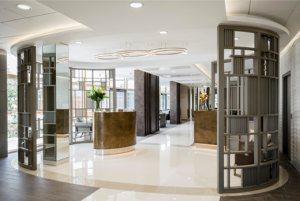 If you’re near Hemel Hempstead in northwest London, then chances are good you’ve heard of One Stop Doctors, a state-of-the-art, boundary-breaking private health clinic. 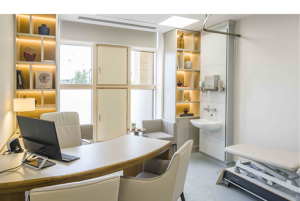 The clinic, with an interior that demonstrates a commitment to patient-centric high design values, offers on-demand medical expertise, along with outpatient diagnostics, physiotherapy, dentistry and aesthetics – all located within a single one stop clinic and available from early morning to late evenings and weekends, to fit with patients’ busy working lives. I’ve visited One Stop a couple of times and I have to say it feels very different from every medical facility I have ever been to in the past. The atmosphere is one of calmness which immediately must put the patient or should I say customer at ease. The operations are slick and staff are hand-picked for their attention to detail and caring attitude. Another key part to delivering this customer experience, is having the infrastructure in the background to ensure operations run smoothly. This is why One Stop Doctors deployed our Care Pathway Manager. Lumeon manages the entire patient journey from the point they come into the centre through to their outcome and aftercare. Because we automate both clinical and administrative pathways, each patient is automatically progressed through their personal care journey based on their individual data. The result is delivering exceptional patient care that is measurable, predictable, and controlled. One Stop Doctors have a vision to increasingly refine the patient experience to make it as low-friction as possible and we are working on helping them achieve it. You can read more about our work with One Stop Doctors here, and if you’re interested in learning more about how Care Pathway Management can benefit your organisation, please get in touch.